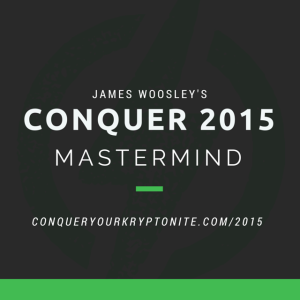 Thank you for joining the Conquer 2015 Mastermind! This is going to be a lot of fun and a very powerful step forward into the new year. I highly recommend you at least start reading through the book before our first call! If you have any questions at all, or don’t hear from me within a day, please email james@woosleycoaching.com.